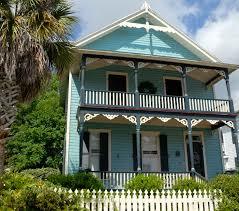 Be clear about the Legal aspects and the rules prevailing in the country that you want to buy property. There may be restrictions on foreigners buying land or houses in some countries. But there are always local agencies that will also know the right regulations and how you can buy a property there. When you visit a place for a short while on Holiday the weather could be good as it is the summer and it is worthwhile to find out what the weather is like in Winter, So check that you would be comfortable in that country at different times of the year. The Best places in a country may not be near a city or be that popular. They are in the villages and towns and may be known to locals only and they may be more affordable. You want your Investment to appreciate in value. And that is why it is important to be aware of the political atmosphere in the country and local sentiments about foreigners settling in their country. Any property attracts many kinds of taxes like the Capital Gain Tax and that is one reason to be aware of the local tax structure to ensure that you are not caught in any legal disputes. There are different Types of Properties meant for different purposes like a plot of land, house, flat, land for farming, industrial land, and many other kinds, and each one may need a different kind of legal route. It is not difficult to see that the legal structure varies greatly in different countries and everyone would want their investment to be safe. When we buy a property to live or to use it as a source of income then we want all the paperwork to be in order. No one would like their money to go down the drain. That is why it is important to learn more about the country and its prevailing rules and practices. It is not a good idea to buy a property only based on a whim or after reading an online advertisement that promises amazing returns. Thorough research is important before investing a significant amount of money in a property. Understand the local market fluctuations, try to connect with the local agents and property experts and read as much as you can to figure out the right time to invest.